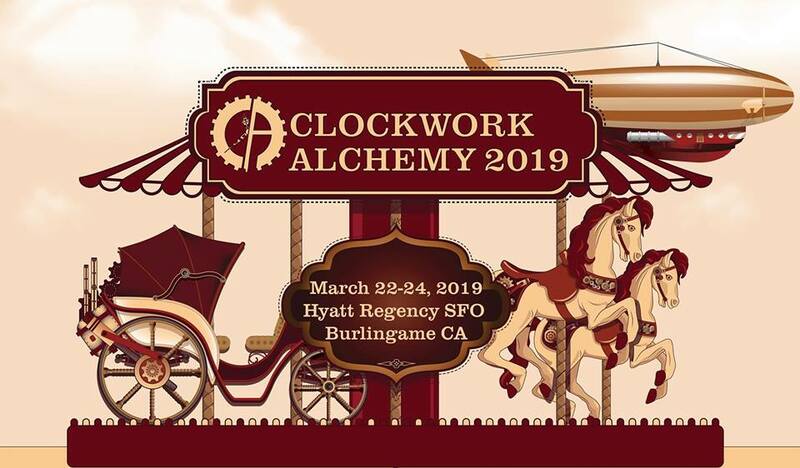 Spring’s arriving and I’m off to Clockwork Alchemy 2019, the San Francisco area’s own steampunk convention. 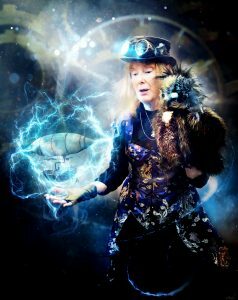 Clockwork Alchemy celebrates music, makers, dancing, writing, crafting, fashion, and fun related to steampunk. Date and location: March 22-24, at the Hyatt Regency SFO in Burlingame, CA. 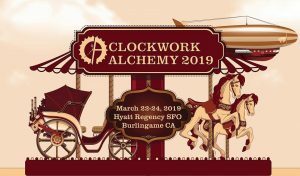 I’ve not attended Clockwork Alchemy before, so I’m truly excited. 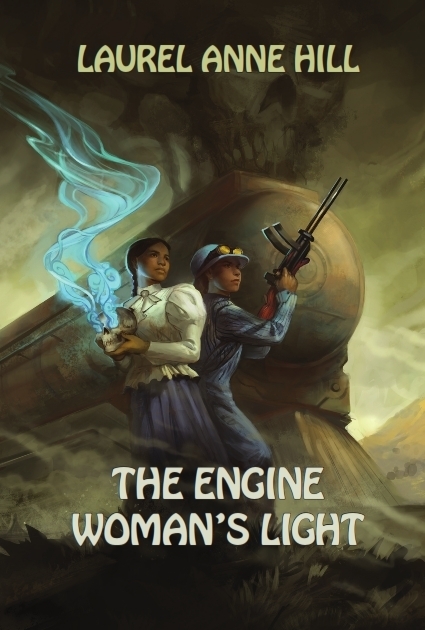 Even better, I won’t need to haul my travel trunk onto an airship to get there. An ordinary carriage will suffice. *Please note that I’ll be spending many other hours in Author Alley, selling and signing my books. Feel free to drop by and chat. And for you writers, let me tell you about the Literary Stage at the San Mateo County Fair. The deadline for entering their writing contests is April 1, 2019.